Everyone should watch this – even if you have never suffered from depression, it gives you a glimpse of what it feels like for someone who does – very insightful. Remember, there are professionals like myself who can help. 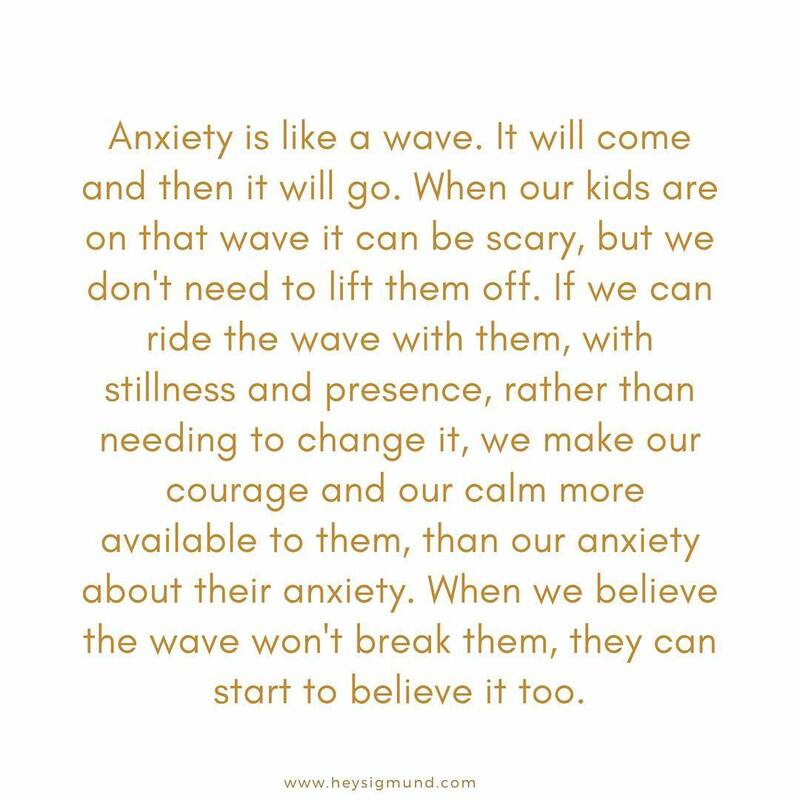 The temptation to lift our kiddos out of the way of anxiety can be spectacular. Here’s the rub though – avoidance has a powerful way of teaching them that the only way to feel safe is to avoid. This makes sense, but it can shrink their world. We also don’t want to go the other way and meet their anxiety by telling them there’s nothing to worry about. They won’t believe it anyway. The option is to ride the wave with them. Breathe, be still, and stay in the moment so they can find their way there too. This is hard – an anxious brain will haul them into the future and try to buddy them up with plenty of ‘what-ifs’ – the raging fuel for anxiety. Let them know you get it, that you see them, and that you know they can do this. They won’t buy it straight away, and that’s okay. The brain learns from experience, so the more they are brave, the more they are brave – and we know they are brave.